In addition to providing a single source for updates on technology and industry trends, another of the key missions of Digital Patterning.net is to help facilitate conversations around the transition to digital. This month we spoke with Tom Kopinski, founder and principal of Cambios Consulting. 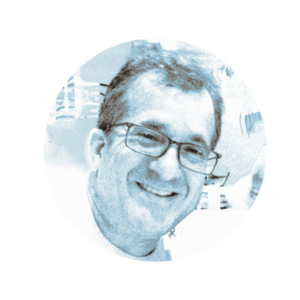 Tom spent over 30 years in the technical software industry, at companies like Autodesk and Dassault Systemes and has a deep understanding of the impact of 3D on manufacturing process. 1. You’ve been researching the design-to-fabrication process for fashion brands and shoe manufacturers for quite some time now. Can you share a little bit about what you’ve learned? Vision A: We don’t care which 3D design authoring tool is selected. Our focus is on utilizing the 3D digital apparel model as a means of communication and collaboration between departments, and with retail partners. We're basically looking to achieve full buy-in by all parties without having to make costly prototypes, and before committing to manufacturing. So while everyone I spoke with is looking at 3D and digital, there's a vast difference of opinion regarding where and how this shift in tools and processes will impact the business. 2. Where do you see opportunity for changes that will enhance customer satisfaction and profitability for the brand/manufacturer? The great thing about using 3D is that there is no misrepresentation of the design. You don't need to "interpret" anything. You can see it and test it just like you do with physical prototypes. 3D is a great way of making sure that everyone is on the same page. It's just a better tool to manage collaboration across departments. I had one of the designers at a really successful brand tell me that "just the ability to look at the 3D design from multiple angles makes me a better designer." That’s not something that gets a lot of attention when people talk about 3D or automation. Leaders are often focused on the savings, when it's really about finding ways to empower teams to produce better products. 3D makes it easy or at least easier to eliminate errors and mistakes throughout the supply chain. Everyone agrees that fixing small errors can add up to big savings. I've seen this myself in my previous life working with clients at Autodesk and Dassault Systemes. We're just starting to see the benefits in the textiles and fashion segment as use of 3D design and automated production becomes more wide spread. Interested in learning more about how to realize the benefits of 3D digital design, patterning and production in your fashion business? Just click below to set up a meeting with one of our experts. In our next article we'll conclude the interview with Tom and share his insights into what's keeping business leaders from adopting the benefits of 3D digital automation. We'll also review his tips on how to effectively implement these solutions. Through Cambios Consulting, Tom is now applying his experience with 3D in the manufacturing industry to industries that are just starting to see the potential benefits of transitioning to digital processes, including fashion design, digital dentistry, and medical modeling.